Here's a lookback on some of the 'non-fashion' activities that I went through in the past year, courtesy of @nakedgloryvera on Instagram. Hehe. Most of the time my life is as boring as the average student - sleep at 230am, wake up at 930am, study, go to school, go to project meetings, attend hall activities, sleep again. But other times, I enjoy these simple moments captured thanks to my trusty iPhone, and I'm thankful for everything that I went through in 2012. Had my first dance concert in a theatre and received a giant bouquet of roses! 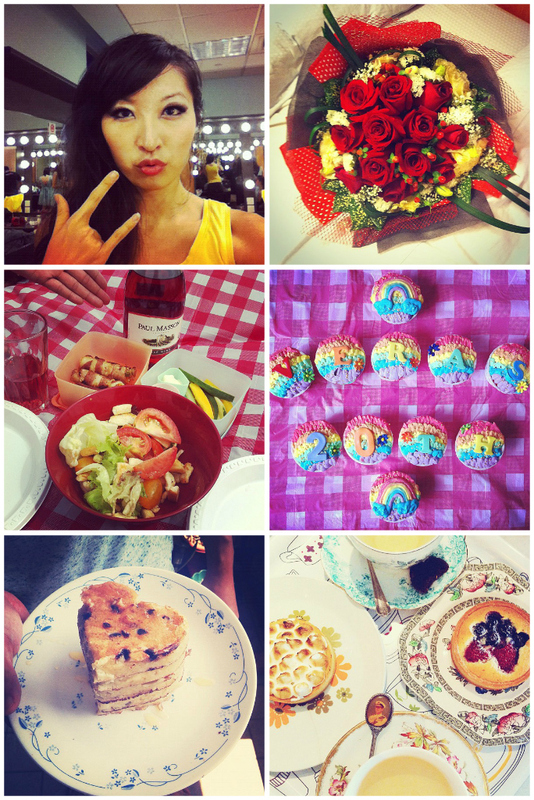 Cooked up a storm in my kitchen for 5 hours to prepare for a picnic; celebrated my 20th birthday with rainbow cupcakes. Cooked brunch. Numerous times - tried poached eggs, caramelized bacon strips, egg in toast, scrambled eggs, and in the photo - chunky monkey pancakes! Chunky Monkey meaning I put mashed banana and chocolate chips in :3 Yums. Also went cafe-hopping and finally visited the lovely Carpenter & Cook. Had a shoot at Mediacorp and met with Sharon Au for the first time! I was very pleasantly surprised to see that she is so down to earth and motherly to everyone. And also the hot Kim Reyes shooting her 'mystery editor' shot. Attended Topshop x JW Anderson party, Hermes "The Art of Time" party, among others. Visited the newly opened Marine Life Park at Sentosa featuring a gigantic aquarium that immersed me underwater. Finally, I took a leap of faith and chopped my long hair off and then straightened my hair out. Change is the only constant for me. I think I have a rather short attention span and always a thirst for new things, which is why I always want to talk to strangers, do something different with my looks, visit new places and challenge myself to do difficult things. And that contributes to why I love fashion so much too. It's the only passion I've been pursuing constantly for the past 2 years and I hope it will continue to stay as part of my life and who I am. 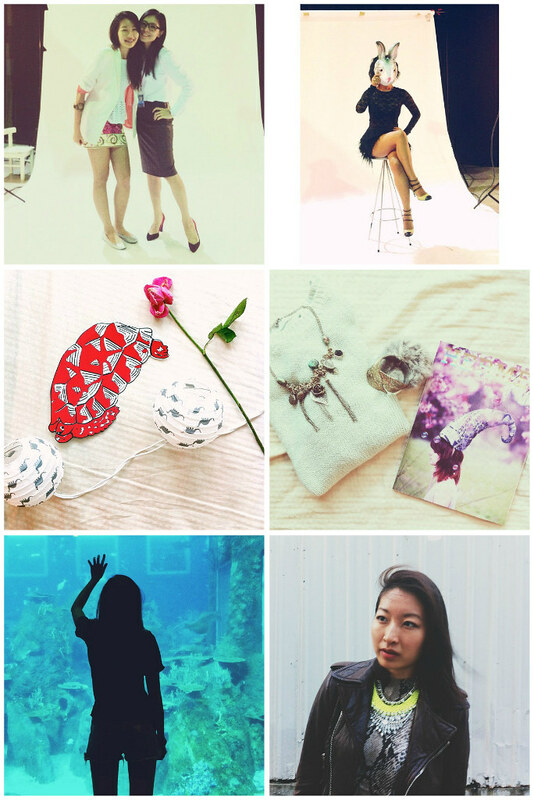 Psst, if you haven't already, please follow me on Instagram @nakedgloryvera!